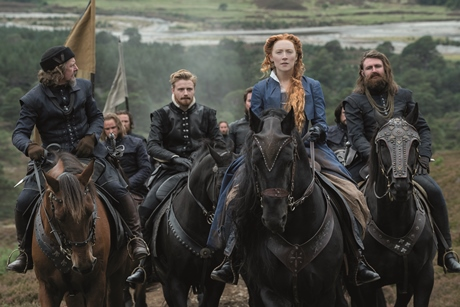 Fans of the newly released film Mary, Queen of Scots will be pleased to hear that there are plenty of locations across both England and Scotland that they can head to this year. The historical drama film, which stars Saoirse Ronan as Mary, Queen of Scots and Margot Robbie as her cousin, Elizabeth I, follows the 1569 conflict between the two countries, as Mary defies pressure to remarry and instead returns to her native Scotland to reclaim her rightful throne. A vast amount of Mary’s scenes in the film take place outdoors, in the wild landscapes of Scotland. With its ancient forestland, mountain trails, ski runs and secluded lochs, the Cairngorms National Park offers plenty to see across its scenery, meanwhile Glencoe with its waterfalls, trails, and peaks offers you the chance to spot red deer and eagles. 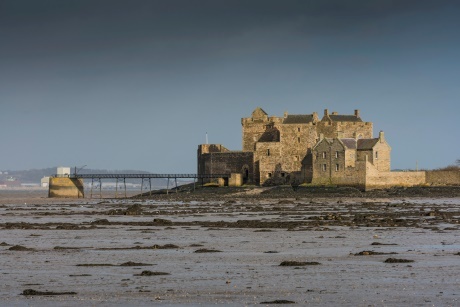 Scotland’s Blackness Castle (pictured above) is no stranger to the big screen, having already been featured in the TV show Outlander, but it is perhaps better known as the ‘ship that never sailed’, due to its unique shape. But while the ship-shaped castle may not have made it to the water, it definitely made it into battle and a quick look back into its history will reveal endless tales of its roles as a garrison fortress and state prison, making it an interesting place to visit on its own. As well as its plentiful history, the castle boasts spectacular views across to the Fife Coast and Forth Bridges, scenes in both Outlander and now Mary, Queen of Scots, and can be visited by the public throughout the year. For sea breezes and the sights seen by Mary as she looks out across to England, you’ll want to visit Seacliff Beach and Ox Road Bay in East Lothian. Popular among surfers, dog-walkers and summer strollers, the beach boasts of views of Bass Rock and the ruins of Tantallon Castle. Not to mention that it is located just a short distance from Dunbar Castle, which has strong links to the real Mary, Queen of Scots. Heading over to England now and Gloucester Cathedral has already provided the backdrop for a number of films, including Harry Potter, Wolf Hall, Sherlock and Dr Who, and its impressive cloisters have once again hit the screen in Mary, Queen of Scots. The 11th century cathedral is the resting place of King Edward II and over 1000 years of history can be discovered during a visit to the site. 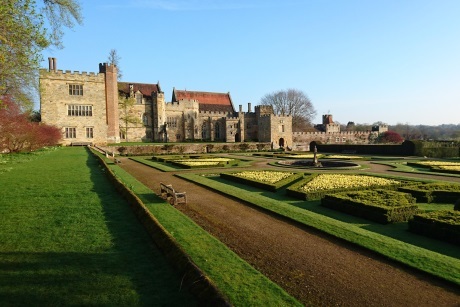 Once owned by King Henry VIII, Penshurst Place (pictured above) was left to his son King Edward VI, before being granted to Sir William Sidney in 1552. The site is used within one of the pivotal scenes in Mary, Queen of Scots, with lead actress Saoirse Ronan featuring in scenes set in the Baron’s Hall and the Inner Courtyard. Visitors to the stately home in Kent can enjoy tours of the Medieval House and Gardens, offering an insight into its fascinating history. The National Trusts’ Hardwick Hall, which was used for scenes with Elizabeth and stood in for Hampton Court Palace, is due to open to the public again in February. Groups heading to the site can explore the house and gardens, or opt for something a little bit different by booking one of the specialist tours. English Tudor and country house, Haddon Hall in Derbyshire also featured heavily in the interior shots of the film. Fans of Pride and Prejudice, The Princess Bride and The Other Boleyn Girl may also recognise it from scenes within both films. Its 2019 season is due to commence on 12th April, after which visitors will be able to explore the house and grounds that have made it into so many films. We take a look at some top whisky themed experiences for groups exploring Scotland. Ensure your next trip to Scotland’s fourth largest city doesn’t break the bank by opting for the best things in life, like museums and walking trails.